I started blogging about his burger-eating eating exploits in January 2011 under the guise of “Burgerac, a burger detective hot on the trail of the best burger in town.” A few months later, (to my amazement), my blog was recommended by The Guide (The Guardian), The Sunday Times’ Style magazine – and has even been name-checked by Evening Standard’s restaurant critic Fay Maschler, no less. 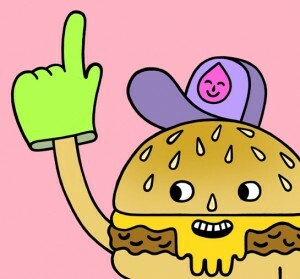 Since starting the blog I’ve judged a nationwide burger contest alongside Bloomberg food critic Richard Vines; hosted my own burger-pop up food and art event in London, Cape Town and Dublin; published a burger art and recipe book; AND created my own nifty iPhone app (Burgerapp) that enables users to find London’s best burgers. 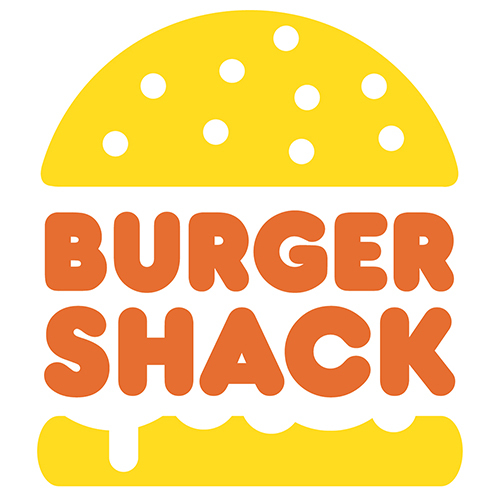 I’m now hosting his own kitchen residency, Burgershack, serving up a selection of burgers and sides at The Royal Oak pub in Marylebone. Where do you live: Stoke Newington, London, UK. Favorite style of Burger: I don’t really have a favourite – I appreciate lots of different approaches. That said, I don’t want a sloppy burger with so much sauce or mayo that you can’t taste the beef. Beef comes first! Favorite Childhood Burger: McDonald’s cheeseburger. Not just because of the burger, but because McDonald’s was a somewhere my folks never took me – they weren’t interested in American fast food. In a way Maccy Dees was almost taboo and therefore, naturally, hugely appealing to me as a kid! Their adverts had a seven armed creature that stole milkshakes, a masked dude in a cape that stole hamburgers, trees with faces and a ridiculously upbeat grinning clown that seemed to run things. I went there for friends’ birthday parties between the age of 5 and 10 and the place was made out of yellow and red plastic (from what I could tell), there was a life-size Ronald McDonald statue thing you could get your photo taken with, placemats to colour in, a free toy, fizzy drinks, french fries and happy meals. It was pretty much the most awesome place a child could possibly find himself. And, in some ways, I think I did find myself. Spiritually. A maccy dees cheeseburger still delivers the same flavour as it did in the 70s and 80s, and with it untold heaps of nostalgia. Burger that haunts your dreams at night: A one-night-only burger cooked by Miles Kirby from London restaurant Caravan for a BurgerMonday event back in March 2011. It featured an 8oz course ground patty, unpasteurised Irish cheese (St Gall), wild spring garlic leaves, iceberg lettuce and the first smokey chipotle mayo I ever encountered. A total game changer. Frustratingly, Caravan has never ever put a burger on its menu. What is the one Burger you’ve always wanted to try but still have not: I have never had an In-N-Out burger. Don’t even say anything. 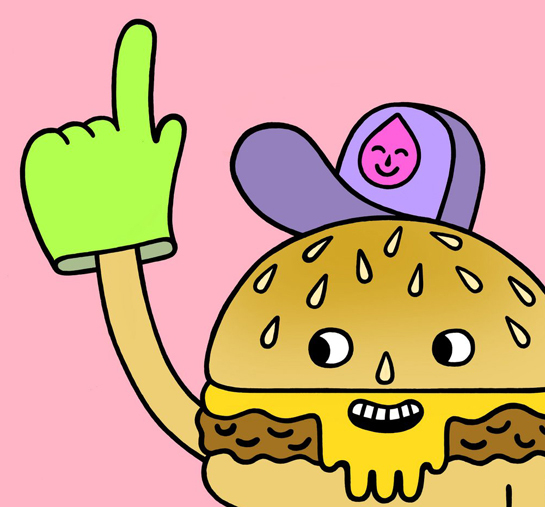 The secret to making a great Burger: The secret for making a great burger is actually the secret to making a great anything: you’ve got to have love in your heart and a desire to create something awesome. In the case of making a burger, beyond doing your research to find out how to make something authentic and brilliant, you’ve got to consider the diner and how the burger will eat. Construction, size, architecture are just as important as your choice of ingredients. Under no circumstances whatsoever, what should NEVER be put on a Burger: I used to think rocket salad leaves were the worst thing ever to put in a burger. But then I had a blow-your-brains-out awesome beef shin burger in Belfast, Northern Ireland where rocket actually worked and it made me realise that when it comes to burgers (and food in general), I should adopt a “never say never” approach. Because, sometimes, the seemingly weirdest ingredient combinations can deliver the greatest joy. If you could eat any Mythical Creature which would it be: Hercules’ 10th task (on his legendary to-do list) was to journey to the end of the world where he would face a fearsome two headed dog called Orthrus (the brother of the more famous three-headed guardian of the underworld, Cerberus) in order to steal a herd of mythical red cattle. With typical brutal aplomb, Hercules bashed Orthrus with his club and slayed the beast. Actually Hercules also slayed the dog’s owner Geryon and his herdsman Eurytion too but I’m straying from the point slightly. My mythical creatures of choice to eat are those cattle which were worth traveling to the ends of the earth to steal. If you could have a Burger with anyone alive, or dead, fictional or real, who would it be and where would you take them: Elvis, of course. I’d take him to my own burger pop-up to try a burger or two and then I’d take him to a branch of burger chain Byron to get a milkshake (they’re the best in town). Then we’d go to Gerry’s Joint up at The Boogaloo in Highgate for a night of rhythm’n’blues with my mates. Name one Burger in LA that for once, people should get off a plane and go eat instead of In-N-Out: Like I said earlier, I’ve never had In-N-Out – for the simple reason I’ve never been to California / the West Coast. Yeah, something I need to address pretty soon. My friend and sometime contributor to Burgerac, Karen totally loved the Comme Ça burger at David Myers’ West Hollywood restaurant of the same name. If I was in that part of the world, I’d want to check out Umami Burger too, for sure. I’ve currently got my own pop up / residency in a freshly refurbished pub in Marylebone in central London came up. 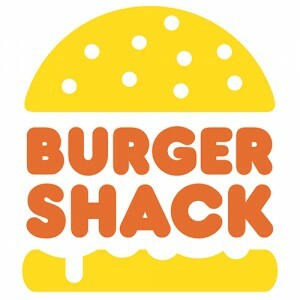 Burgershack basically came about when the guys that own the pub asked me if I’d work with them to curate a series of food pop-ups. I got in touch with a load of ace street food vendors to see if they’d be up for residing in the kitchen for a couple of weeks at a time potentially and while several were keen to get involved, everyone explained they were booked up (understandably) until September. The guys at The Royal Oak wanted to get something up and running almost immediately so asked if I’d do something myself. That was three weeks ago. And we’ve already been open over a week. Things have moved FAST! We’re serving a simple menu of a handful of burgers and a handful of side dishes, but developing new dishes to run as specials and rotate the menu offering weekly. We’re getting a great response from the locals and are looking to organise a launch party of sorts in a couple of weeks. I feel like I’m living the burger dream. This entry was posted in The Cattle Call and tagged bar, best burger, burger blog, burger club, burger conquest, Burgerac, Burgershack, cheese, ciancio, david, french fries, gourmet burger, great burger, hamburger, interview, Marylebone, restaurant, rev, review, royal oak pub, the cattle call. Bookmark the permalink.